Mathematics is everywhere if you look carefully enough. Look at these 16 images. How many can you identify? What mathematics can you see in the images? Can you think of a reason for the shapes existing as they do? Can you spot shapes which share any common mathematical structures? 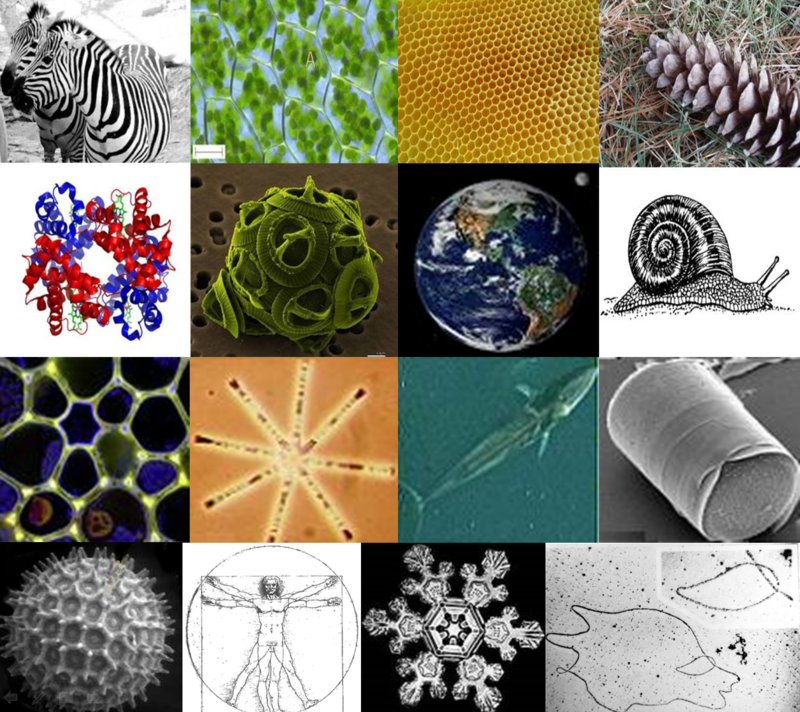 Why not create your own poster of images from nature which exhibit mathematical structure, along with description, notes and explanations for the reader? Note: these images are all in the public domain and taken from wikipedia commons. Chemistry. STEM - physical world. STEM - General. Logo. Real world. STEM - living world. Practical Activity. Biology. Programming. Sport.